Were has the time gone? It’s been way too long since I posted a blog. I have been working out and staying on track with my training (well for the most part). I have slacked on writing in the blog. I’ve started to using Strava pretty heavy and that seems to be were my focus goes instead of this wordpress site. I will try and do better and post more. Reading my posts reminded me on just how nice it is to have a log of my training and more detail then what goes into Strava. Look me up if you’re on there. So let’s see if I can recap the past couple of months. 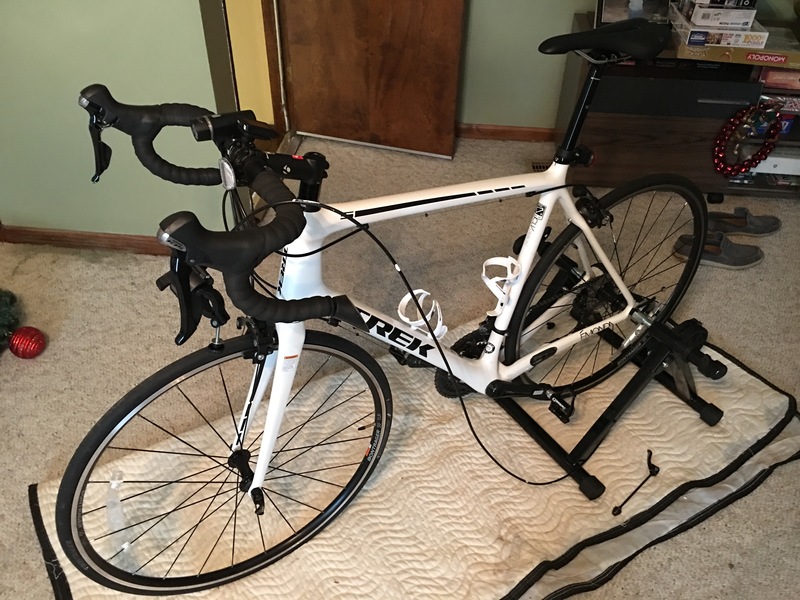 Since the winter weather arrived and the biking season came to an end I went out and purchased an indoor trainer. I thought it would be nice to set up the bike in front of the television and get in some miles while I bench watch my shows. That worked for about a week, until I realized I would get about 30 minutes into my ride when I find myself on the couch focused on the show and not the ride. 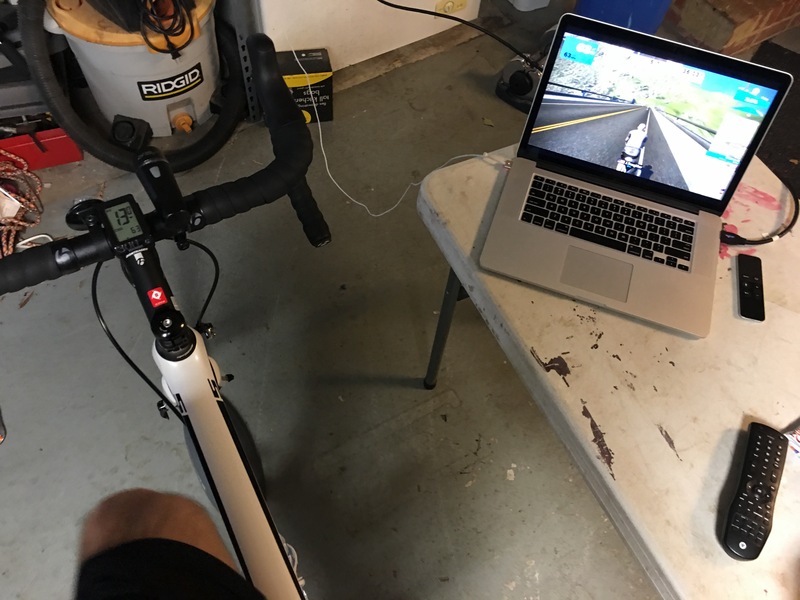 So, I tried out Zwift and I was hooked from the first mile. 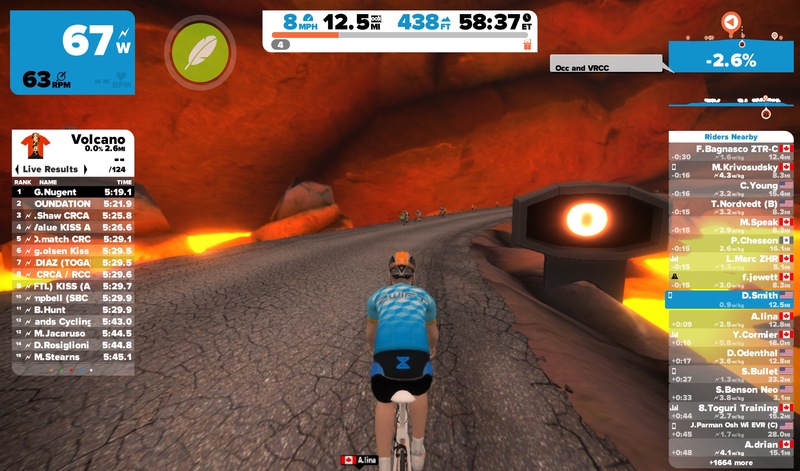 That is a really cool system and it lets you focus on the ride and not get bored doing it. If you haven’t looked into this I highly recommend it. I also signed up for the shamrock marathon again this year. 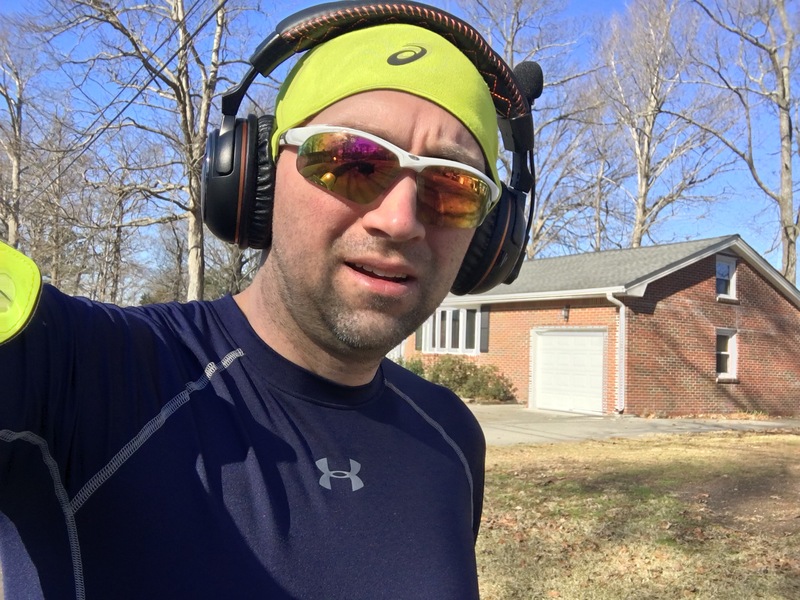 So I’ve been trying to run 4 nights a week. That’s not going as well as I would hope. Seems that I can’t find the time to get out there and starting to resort to the fun of cycling instead. 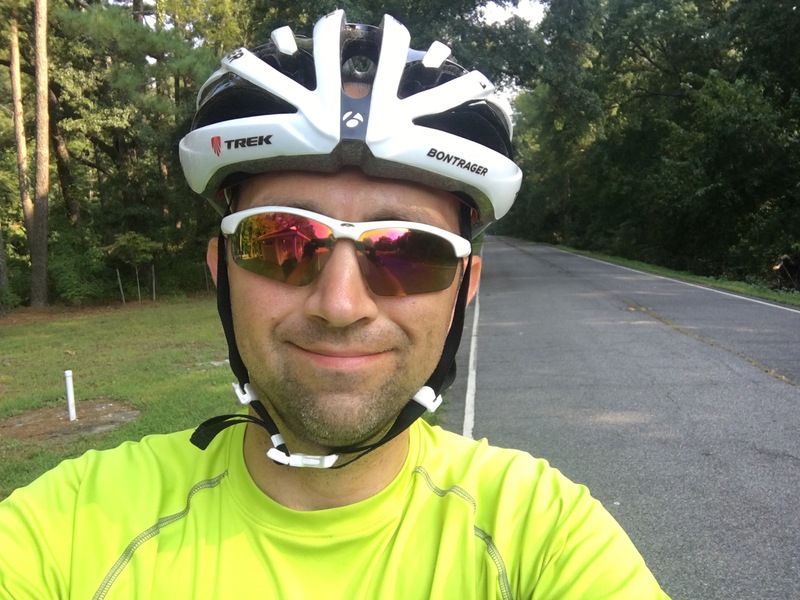 My goal is to cycle a few miles then go out for a run thinking that this will help by body get used to switching over from the two actives. On Wednesday I had the day off and decided to give the capital trail a try. It took about an hour drive to get there, but it was worth it. I heard about the trail on Facebook and thought it seemed like a good spot to ride on. And I was right! 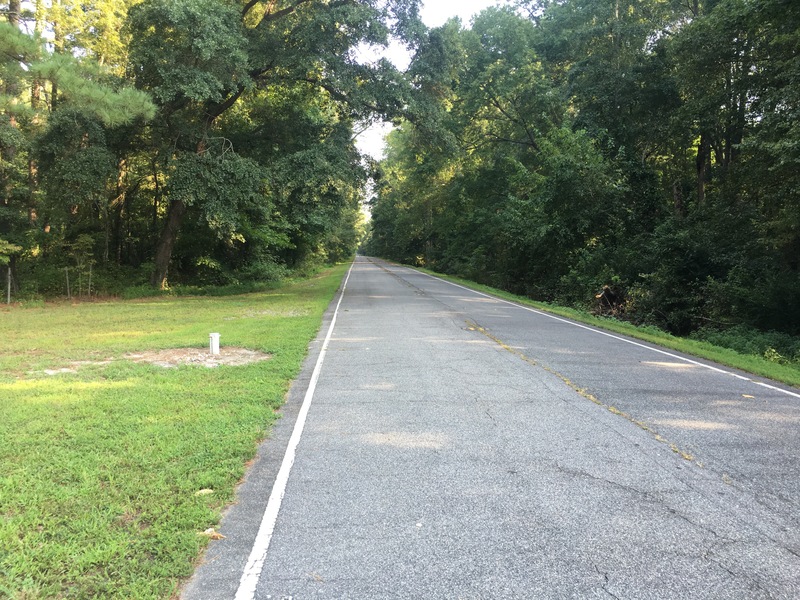 This has to be the best paved path for cyclist in Virginia. It starts in Jamestown and goes all the way to Richmond. Total of 52 miles. 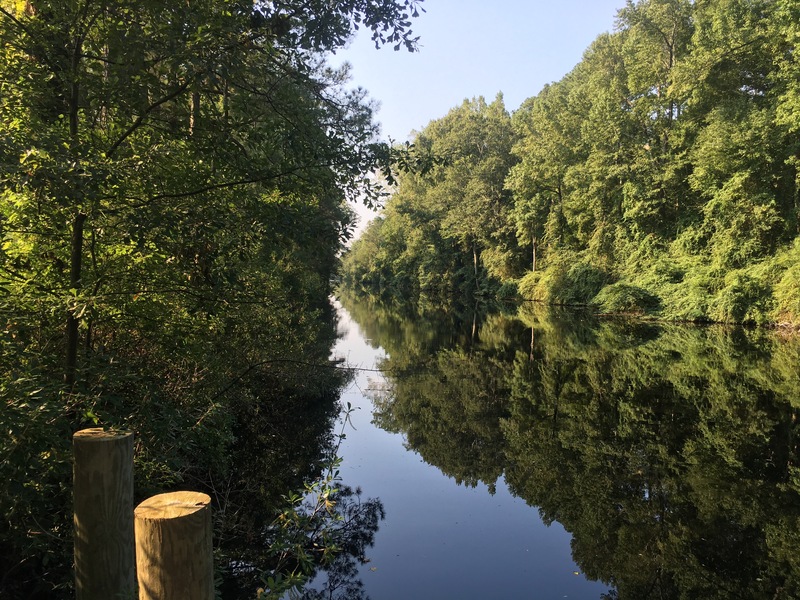 Here is the link to the official website http://virginiacapitaltrail.org/. 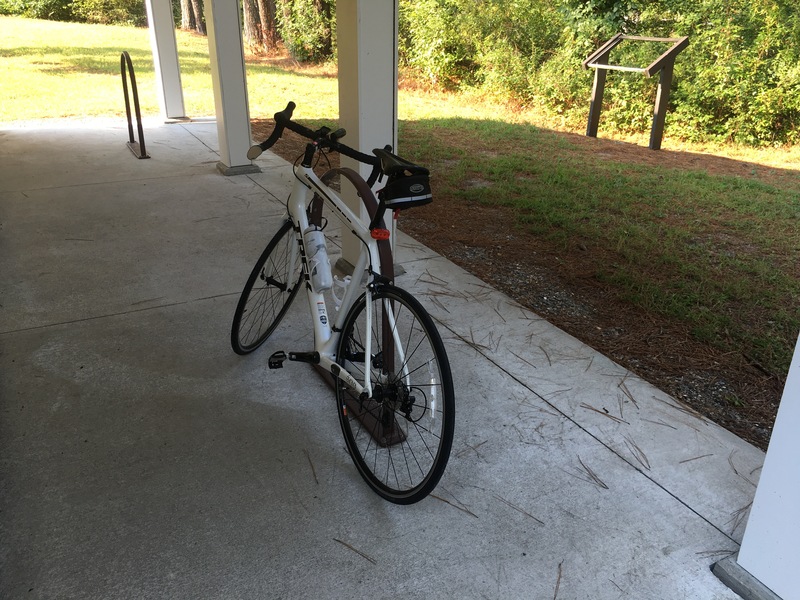 I rode up to mile marker 30 and back. I wish I planned to go out a little earlier so I would of had time to ride the whole 52 miles. Today the kiddies had off school so I got to stay home with them. As luck would have it my Apple watch was scheduled to arrive this afternoon. I thought this was a win for everyone. 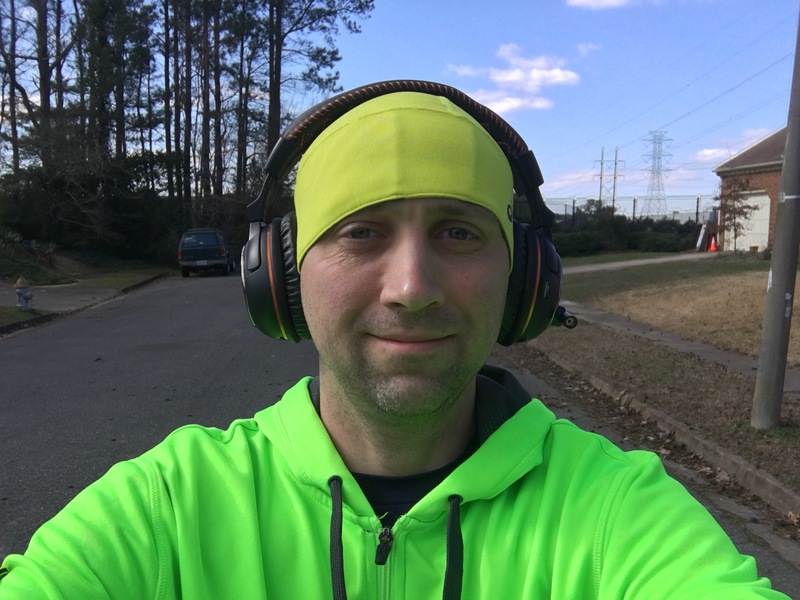 So after some yard work and cleaning up around the house I got in a quick run before lunch. I strapped the GoPro on my head to see how that would turn out. It didn’t turn out good at all. Turns out my head bounces around too much. The rest of the day was planned to play with the watch. However, it appears UPS mixed up the box this morning and it never made it on the truck. So I’ll have to wait another day to play with it. I hope it works as advertised for tracking running, swimming, and cycling. We’ll have to wait and see what tomorrow brings. This is one of my favorite places to ride. The city blocked off 8 miles of road and turned it in a park. Cycling, running, horseback riding are all welcome. 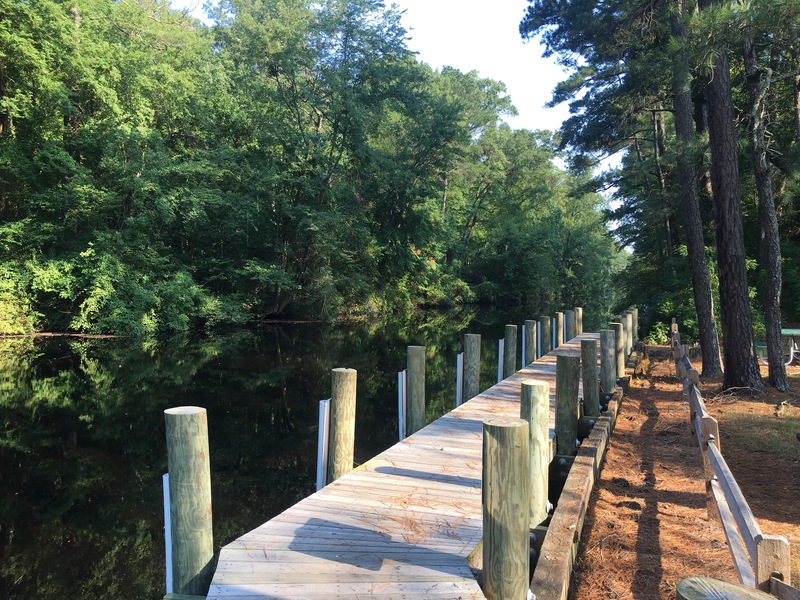 The trail runs alongside the dismal swamp canal so the scenery is beautiful. I normally park 3 miles from the entrance to a round trip ride is 22 miles. The road debris in my area is crazy. I spend most of my time trying to avoid it all. 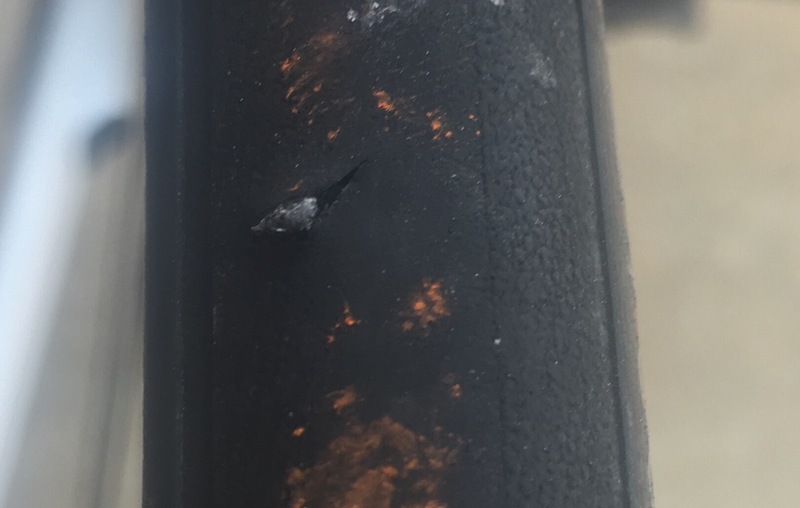 Yesterday I ran through some glass and got a piece stuck in my tire. Other than that it was an awesome 26 mile ride. The weather was perfect and I was in the zone. I got up early this morning to train for all three sports. So I packed everything up in the Jeep and went down to the YMCA at Mount Trashmore. I started out in the pool and did laps for 15 minutes. This is the first time I really have worked on my swimming and I realized I have a lot of work to do. I was planning to do 30 minutes in the pool, but after the first 12 minutes I was almost done. My swimming technic is bad, my breathing between strokes is horrible. I need to find time to practice swimming more. Than I moved right into cycling. Did a quick change over in the locker room and jump on the bike. 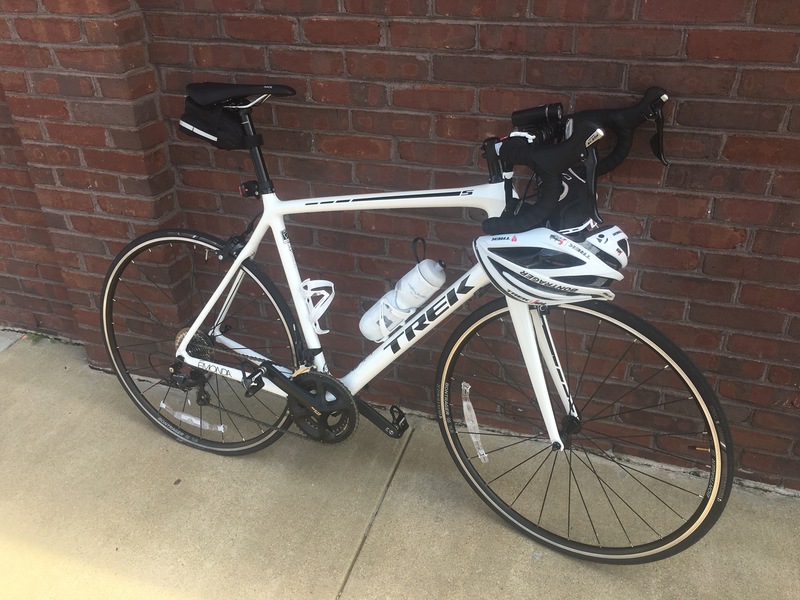 I completed 6 miles fine. I could have gone longer but wanted to ensure I had enough time for running. So I switched over to the run. I left my cycling shorts on to see if they would work as running shorts as well. I didn’t have any problems with them, but not sure how they would handle on a 26 mile run. I completed 2 miles before I had to stop. I was running out of time not energy. All in all I’m glad I went out this morning. I thinking about marking this a normal Saturday retinue. Jamie on Were has the time gone?